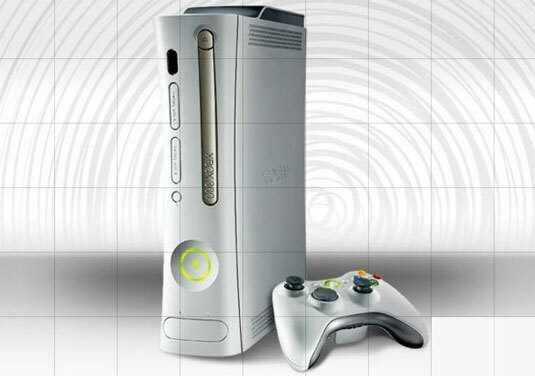 If you’re into gaming, consider adding Microsoft’s Xbox 360 high-performance gaming console to your home theater. Xbox 360 uses a custom version of IBM’s PowerPC chip, with three cores (or independent processing units) providing a huge speed boost over the older Intel chips in the original Xbox. The 360 also includes a much faster graphics processing unit from ATI that can support high-definition (1080i) video on your HDTV. A 32-bit audio processor: This supports 5.1-channel Dolby Digital surround sound. A wireless controller system: No need to worry about tripping over the cords; the Xbox 360 offers wireless controllers that operate in the 2.4 GHz frequency band (the same frequencies used by Wi-Fi). This is an optional component — not all Xbox 360s include these controllers in the package. You can “connect” up to four controllers at once using the wireless system. An optional hard drive: Two of the three Xbox 360 models include hard drives for storing your photos, music, and video for playback in your home theater. Network capabilities: The Xbox 360 includes an Ethernet networking port that lets you connect your console to a home network for online gaming and for media purposes (such as playing video and audio files on your PC). Microsoft also sells an 802.11 (Wi-Fi) wireless networking adapter that lets you connect to a wireless network (802.11a or 802.11g). Front USB ports: The Xbox 360 has two USB ports hidden under a port on the front of the unit (and a third USB port on the back) that let you connect devices such as an iPod, a Sony PSP (handheld gaming machine), or even a digital camera. Media Center capabilities: If you have a Windows XP Media Center Edition PC, you can use your Xbox 360 as a Media Center extender that will allow you to access the TV, music, photos, and video functionality of your Media Center PC over your home’s wired or wireless network. So you can have your media stored on the Media Center PC in your home office and use the Xbox 360 to access and enjoy the media in your home theater. Unlike the Sony PlayStation 3, the Xbox 360 does not have a built-in optical drive that can play high-definition movies (the PS3 has a Blu-ray disc drive built-in). You can play DVDs using the Xbox 360’s built-in DVD player, but there’s no support yet announced for Blu-ray discs. Xbox 360 comes with a 20GB hard drive and no HDMI cable. Xbox 360 Elite is the fancier package, with a 120GB hard drive and an HDMI cable. Xbox 360 Arcade has no hard drive and no high-definition cables (neither component video nor HDMI are included — you’ll have to spring for the optional cables), but it is the cheapest way to get into the world of Xbox 360.